As a family man I can relate to wanting to provide a secure place to live for your family. I have lived and surfed in the Yamba area for over 20 years and am a property investor myself. I understand the highs and lows of property investing and purchasing having bought and sold properties throughout my life both here and overseas. Michael Florie is a credit representative (385136) of BLSSA Pty Ltd ACN 117 651 760 (Australian Credit Licence 391237). 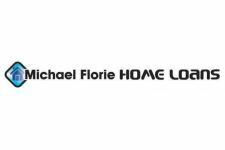 MICHAEL FLORIE HOME LOANS have been finding solutions and taking the stress out of HOME FINANCE in the Clarence Valley for many years. Our CUSTOMER SERVICE IS OUR GREATEST PROMISE, is second to none and YES we return your phone calls and always keep you updated! There is NO CHARGE for our service and our help is INVALUABLE. WE DON’T JUST TALK THE TALK – WE DO THE WALK….